Jakarta. Basuki "Ahok" Tjahaja Purnama became a free man on Thursday after nearly two years in prison for blasphemy. The former Jakarta governor, who in a recent letter expressed a desire to be called BTP after his release, left the headquarters of the National Police's Mobile Brigade (Mako Brimob) in Depok, West Java, in the morning. "Yes, he has been released. 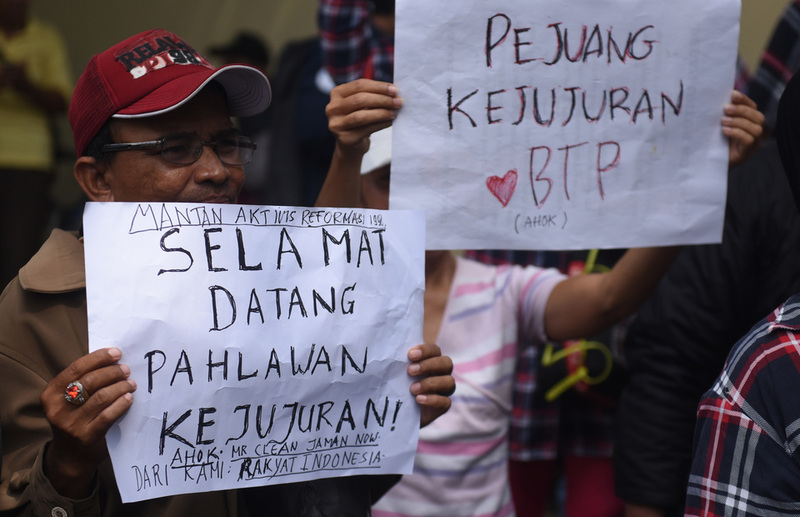 At around 7.30 a.m., he was picked up by his eldest son, Nicholas Sean, and members of the BTP team," said Ima Mahdiah, a member of the team, as quoted by BeritaSatu.com. Photos of Ahok completing the administrative process for his release were uploaded to his official Instagram account, managed by the BTP team. "Administrative process prior to release at Mako Brimob this morning. Freedom!" Ahok's son Nicholas also took to Instagram to share his father's homecoming, posting a photo of the two of them with the caption: "He's back. My dad's a free man! Thank you everyone for the support." A crowd of supporters had gathered at the front gate of Mako Brimob in the hope of welcoming Ahok, but he and his team are believed to have left the area through the backdoor. Ima said the public would be updated about Ahok's plans soon through his YouTube channel. "We will upload something soon. You can watch it there. What Mr. BTP will do next, will be made known through his vlog," Ima said. The North Jakarta District Court sentenced Ahok, an ethnic Chinese Christian, to two years' imprisonment in May 2017, following several high-profile rallies by hardline Muslim groups insisting that he had insulted Islam.